CITY of INDUSTRY, CA (June 2, 2013) – CyberPower Inc. www.CYBERPOWERPC.com, a global manufacturer of custom gaming PCs, today announced its new series of desktop and notebook gaming PCs based on the 22nm 4th Generation Intel® Core™ Processor codenamed Haswell, which promises big gains in power efficiency and graphics performance. Because of significant improvements in thermal and power efficiency, the new 4th Generation Intel® Core™ CPUs offers a distinct bridge between small form factor computers and powerful desktop gaming rigs giving users more choices than ever in mobile and desktop form factors, with improved performance and longer battery life. 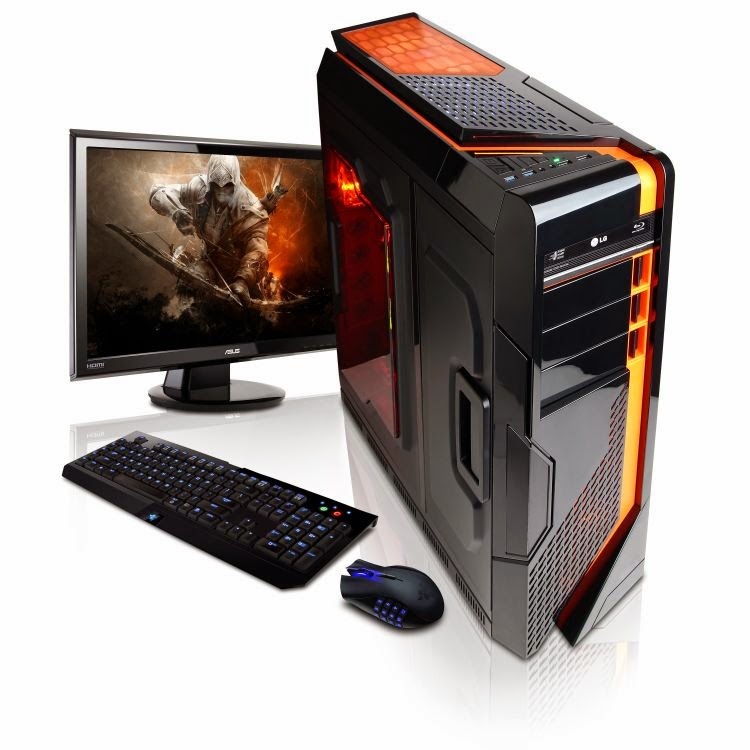 CYBERPOWERPC systems equipped with Intel® 4th Gen. Core™ CPUs will range from Core™ i5 to i7 offerings – each with a minimum 10% performance gain over previous 3rd Generation processors. On the mobile side, with the new 4th Gen. Processors, customers can expect the same performance gains and nearly double the battery life. CYBERPOWERPC will feature the new CPUs with the speedy and feature rich Z87 Express Chipset in its entire Zeus EVO Thunder series – a redesigned lineup of performance gaming PCs to satisfy the cravings of enthusiasts and gamers. The Zeus EVO Thunder will come in various forms offering both 4th Gen. Core i5 and Core i7 K-series CPUs that are unlocked allowing you to crank performance up to 30% higher with CYBERPOWERPC’s Venom Boost overclocking option. The new Zeus EVO Thunder series will also incorporate NVIDIA’s new GTX 700 series GPUs for a performance packed combination that delivers benchmark shattering power. The Zeus EVO Thunder receives a new armor befitting the God of gaming PCs. Customers can select from the new CFI Boreallight full-tower ATX case or the Corsair Obsidian 900D super-tower. These top of the line cases have the airflow, expandability, and extreme water cooling support for the PC enthusiasts that wants nothing but the absolute best. All Zeus EVO Thunder gaming PC powered by 4th Gen. Intel® Core™ CPUs will also feature CYBERPOWERPC’s Advance Hydro II, which features the XSPC RayStorm CPU Block, redesigned AX radiator, and a powerful D5 pump in single pump (AX240), or dual pump (AX360) setup for maximum thermal dissipation. In addition to the Zeus EVO Thunder, CYBERPOWERPC’s Fang III series, Gamer Xtreme series, and others will receive the 4th Generation Intel® Core™ CPU and Z87 Express Chipset upgrade. The award winning CYBERPOWERPC FANGbook gaming notebook has evolved into a mobile game station – a powerhouse equipped with the 4th Gen. Intel® Core™ mobile processor and new NVIDIA GTX 700 series mobile graphics. The new FANGbook EVO lets you game and multitask like never before with a revised set of hardware that provides desktop-like power. With the fourth-generation core, CYBERPOWERPC’s FANGbook EVO gaming notebook will see a greater improvement in battery life depending on the applications and display settings. The FANGbook EVO series will come in three configurations – the EVO HX7-100, 200, and 300. 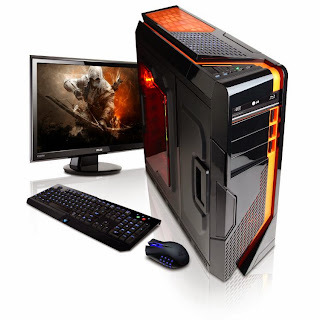 All CYBERPOWERPC gaming systems can be customized with a number of performance hardware and components such as solid state drives, blu-ray drives, performance gaming memory, gaming peripherals, business and productivity software, and more at the company’s website, www.CYBERPOWERPC.com.